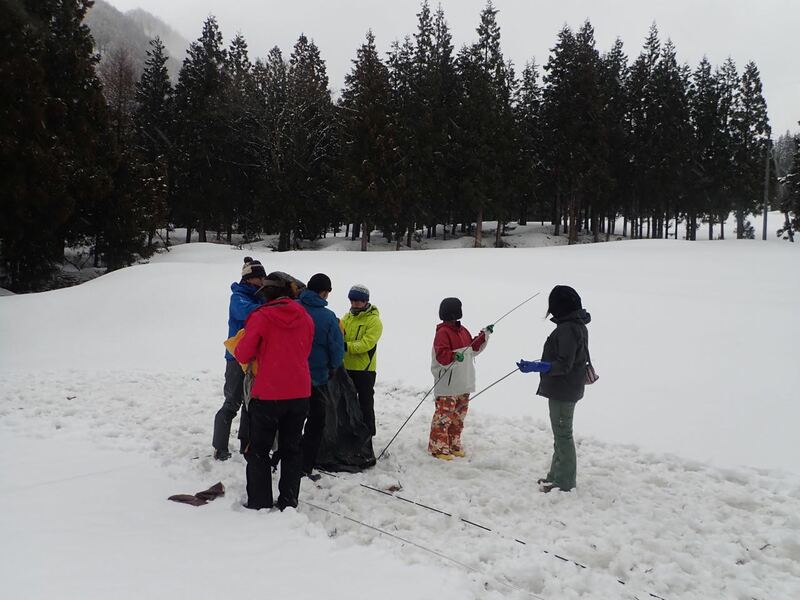 From March 26th to the 29th, 2016, ECOPLUS hosted the “Yuki Zanmai,” or “Snow Indulgence” Camp in Minami-Uonuma. 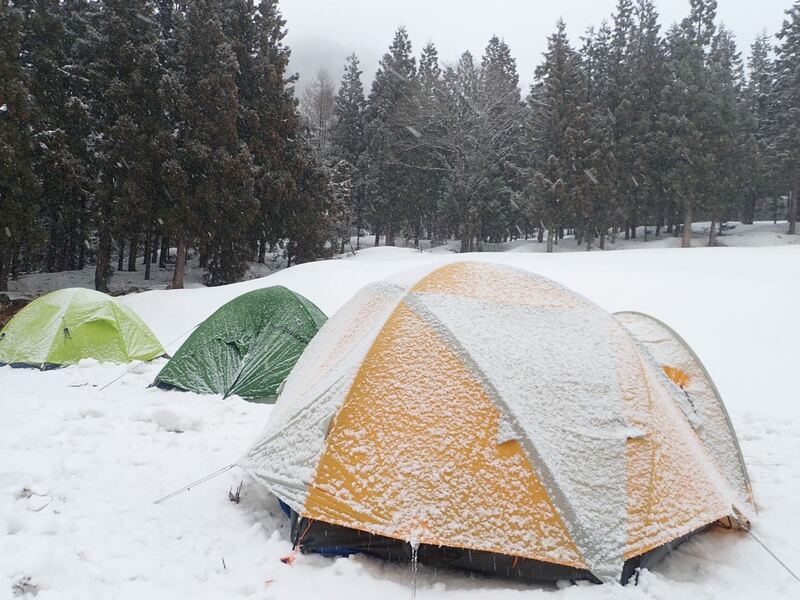 Seven participants, all from elementary and middle schools in the Metropolitan area and Niigata enjoyed four days and three nights of living on the snow, where they all constructed their campsite entirely on their own. Hiking on the snow toward the middle of Mt. Makihata. Gorgeous view! This winter, we experienced an uncharacteristically small amount of snow. Despite being 600 meters above sea level, the village of Shimizu looked almost as though it was experiencing early spring. Ordinarily, there would have been between 2  3 meters of snowfall by this point during an average year; instead, the area received an approximate 50 centimeters of snow this year. 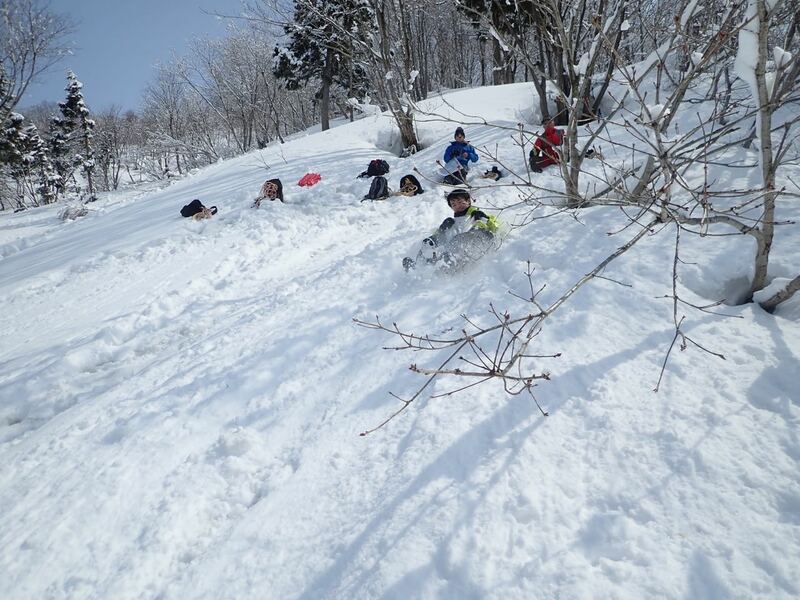 Due to this, we were worried that the Snow Indulgence Camp might not succeed, but we were blessed with good weather, and the children faced the challenge of living in the snow with a serious, sincere look in their eyes. Children challenged to live on the snow by themselves. 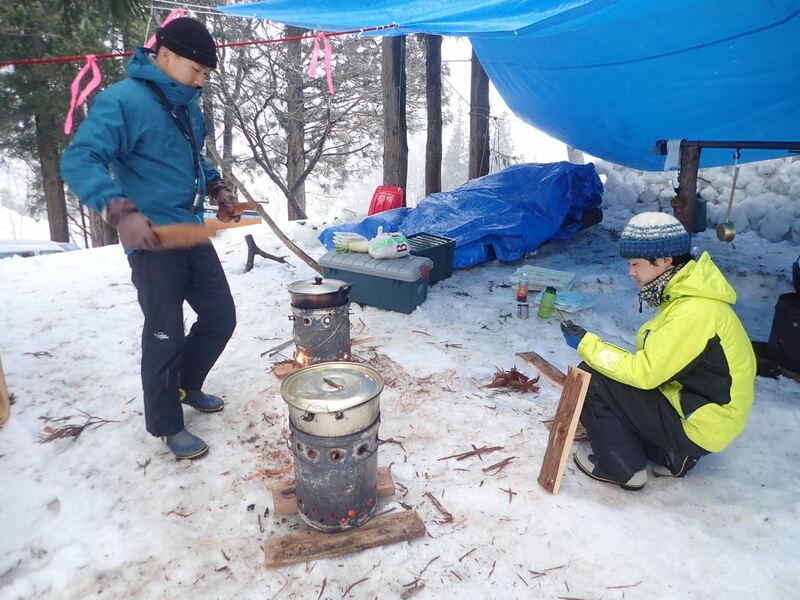 Making fire woods on the snow was one of the first duties. A total of seven children was assembled of from fourth-year elementary school students to first-year middle school students. 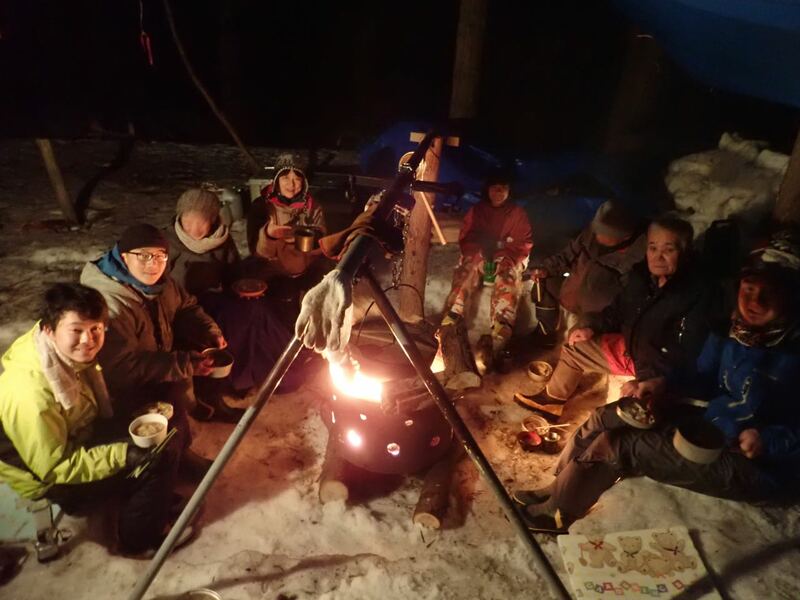 Some of the children had participated in ECOPLUS programs once or twice before, but this was their first time as a group in this area, as well as the first time holding an overnight camp on the snow. Everybody had a bit of a nervous look to him or her. 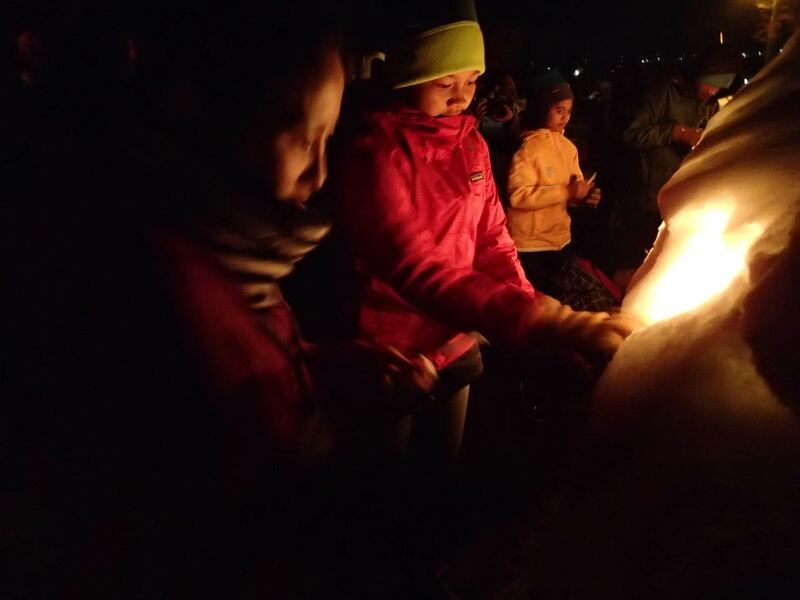 The children decided on their goals for the campsome said, It is important to take care of the environment, while others said, We hope to make friends here. Once this was done, the Snow Indulgence Camp could begin. Throughout the next four days, the childrens everyday necessities and personal lives were self-led. They trampled the snow underfoot in order to harden it, creating a space to raise their tents; they split wood for their fires; they melted snow for drinking water; and they made tables, chairs, cupboards for food, and even makeshift toilets entirely from snow. They even used snow to wipe their bottoms afterward! They also used cedar leaves like sponges while washing their pots and pans. On the first day of the camp program, the children were confused about this new way of living, but they became as resilient as adults in only four days time. 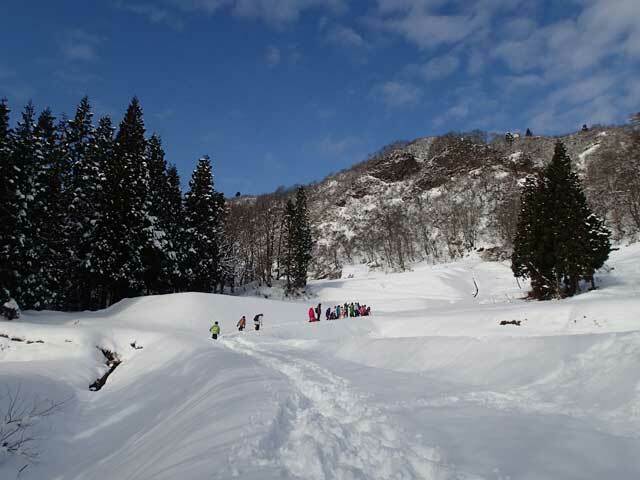 Under the gorgeous blue sky, children enjoyed the nature and life in Tochikubo. 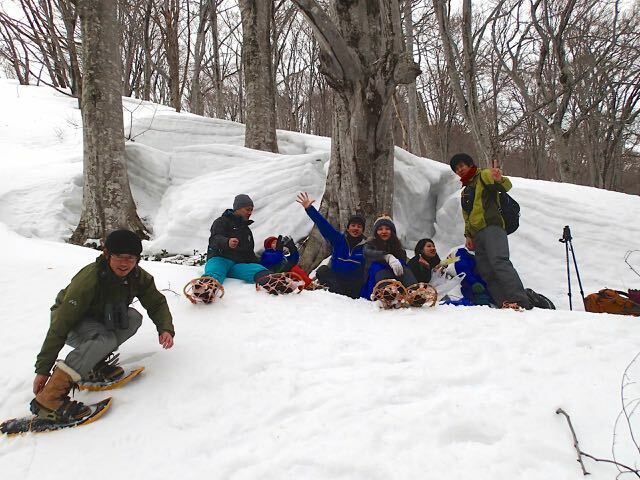 From the 9th of January to the 11th, ECOPLUS held our program, “Experiencing Natural Mountain Life: Winter Edition”, in Tochikubo village in Niigata prefecture. 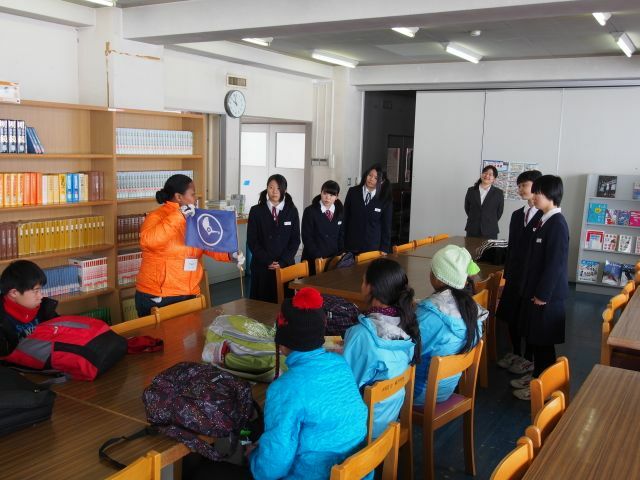 The program was aimed at elementary school children, and we had 17 participants. Thirteen of them were city kids from metropolitan area, and the other four were students from Niigata prefecture. 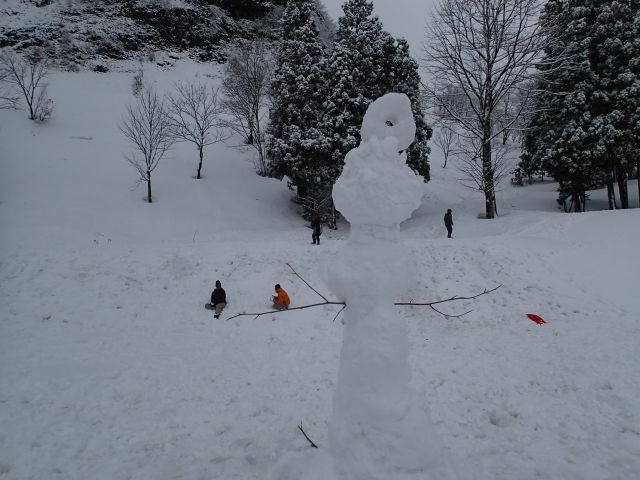 The weather was thankfully very calm throughout, and everybody enjoyed getting to play in the snow under the blue sky. We started the first day with many nervous faces when we conducted the orientation. The orientation began with self-introductions and some games. Afterwards we covered important things to be careful about and to watch out for. Lastly we broke them up into two groups regarding daily responsibilities, and gave some time for the two groups to discuss things together. From the afternoon onwards, they were waiting in anticipation to be able to play in the snow. The snow was approximately 40cm deep, and when they finally could, they eagerly changed into their snow gear. This was actually significantly less snow than on average. Regardless, for the kids the world still seemed to be completely covered in snow. They made snow huts (these snow huts, kamakura are traditionally made by kids in mid-January), had snow ball fights, and sled. The local kids even joined them in on the fun. The sound of laughing children echoed in the village. 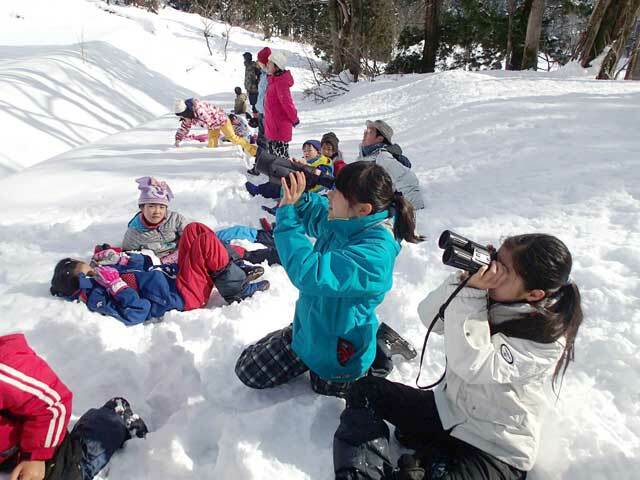 Children observed a big hawk, called “Kumataka” on a branch of a tree hundreds meters away. On the second day we focused on observing nature. 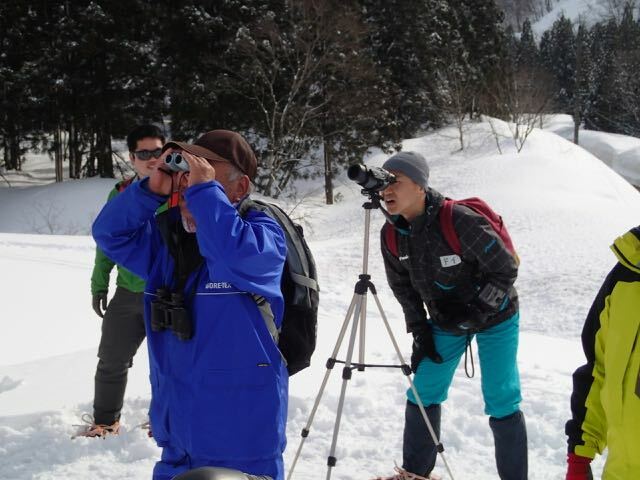 A local knowledgeable about the nature here accompanied us as a special guest. On the snow covered path he led us to the outskirts of the village. 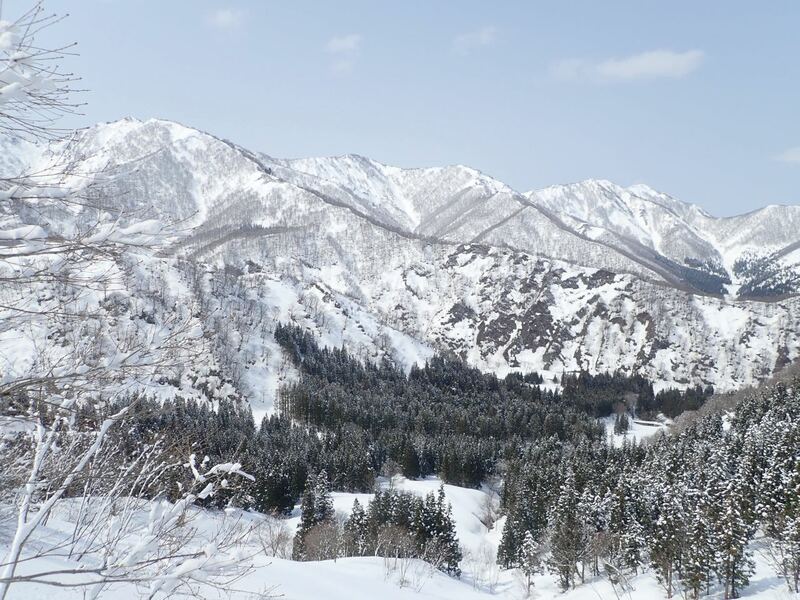 There we were able to get a phenomenal view of the mountains and forest. We even were able to see a very rare bird, a Tinnitus Mountain Hawk, perched on one of the mountain trees. The kids were fascinated by the bird. After getting a telescope to confirm that it actually was a Tinnitus Mountain Hawk, we examined it for a while. For around half an hour it stayed in the same spot. When it finally flew away we could see the striped pattern of its back feathers. The kids tried to follow the bird until it disappeared from sight. For the three days of the program, we borrowed the villageÆs assembly hall, and camped in there. The kids were responsible for cooking their own meals. For the most part, everything from cutting the ingredients, to cooking them, was done completely by them with some supervision. On the last day, our closing event was a discussion and retrospective. While a completely new experience for many of the children, they spoke very fondly of the past three days. One kid enthusiastically said, ôSince I am an only child, it was especially fun to spend time here with lots of friendsö. Most of the other responses were quite similar. From March 26th to the 29th, we will be holding a similar event, but this time aimed at older students. 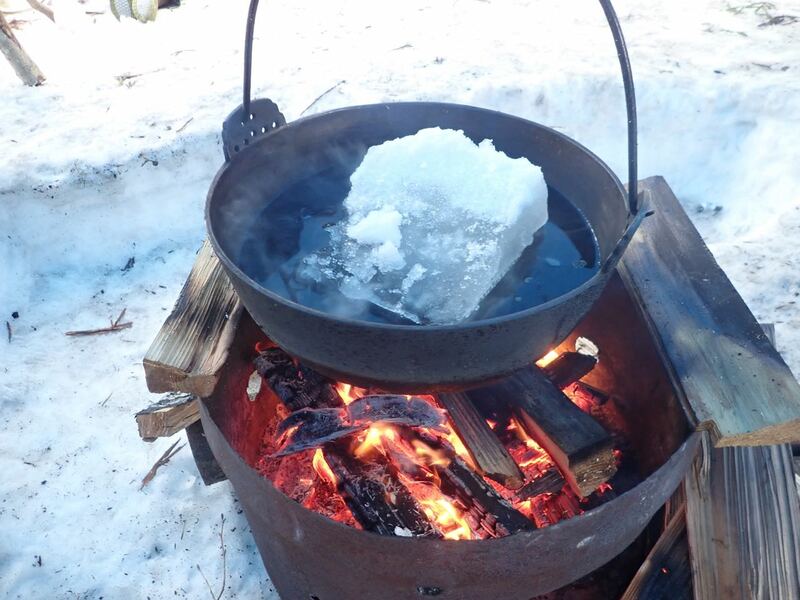 ôExperiencing Natural Mountain Life: Lingering Snow Seasonö will be open for 5th graders to high school students. We will tent over the snow for three nights and four days. We are eagerly awaiting this upcoming program. 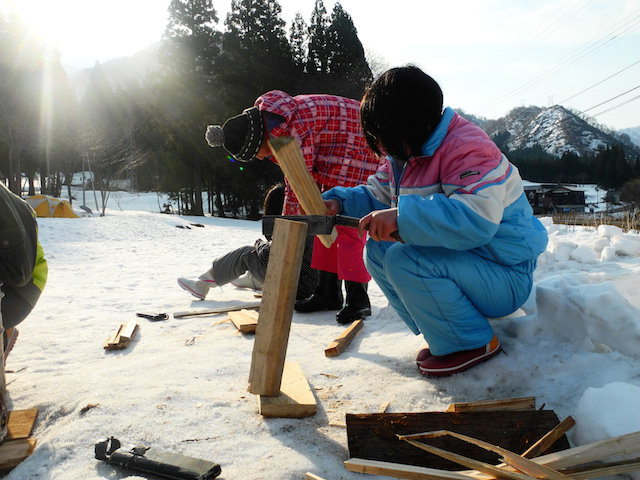 After enjoyed playing in the snow, elder persons of the village taught students how to make rope with rice straw. In Yap, rope is made from coconuts fiber. Students were quite good rope makers, elders admired. Joverlyn made a small sandal with this local elder. Boys took the first hot spring in their life time. Today started off with a trip to the local junior high school! Unfortunately I wasn’t able to be there but looked on as the school girls bade farewell warmly to the Yap youths. It sure seemed fun! 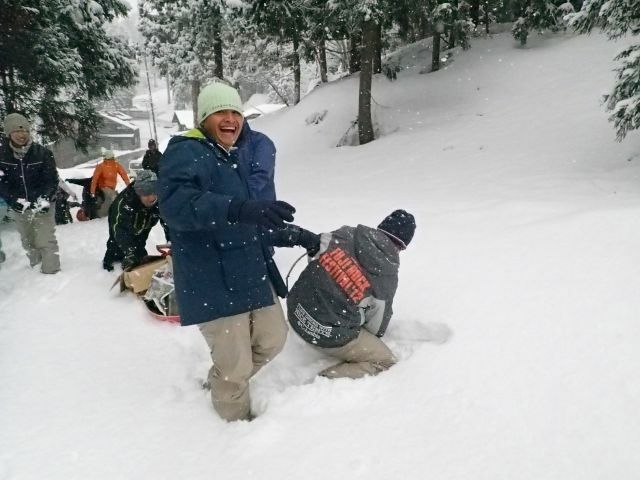 We went to Tochikubo Village soon after, when it was time to play in the snow! Before we even went to the actual snow playing area, chaos had already erupted as the youths started snowball fights. 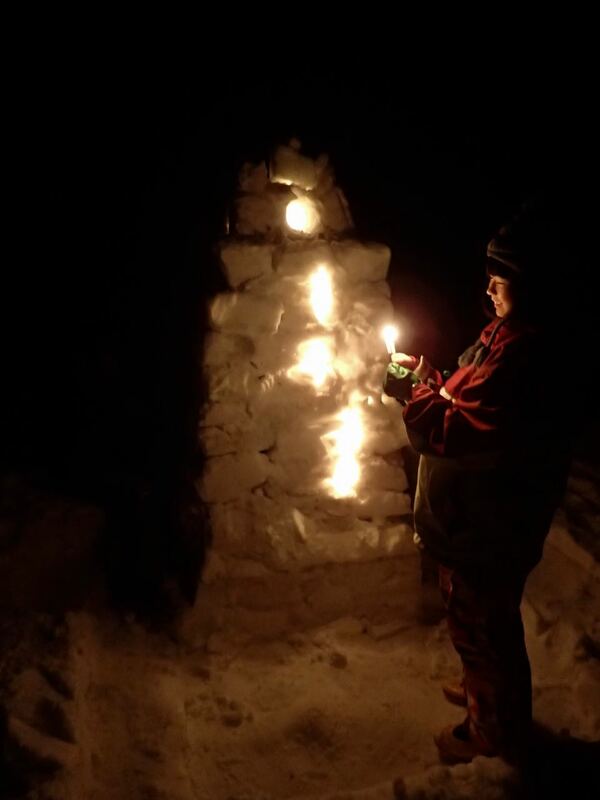 When we reached the snow area, youths had fun sleighing down slopes, building snowmans and houses, and barbecuing marshmallows. Before long, two hours had passed, and we trudged back to the community house tired but satisfied, ready to fill our stomachs with delicious local food. A kind of food of worthy mention during lunch was fermented soybeans, otherwise known as natto, which can apparently only be found in Japan. The 豚汁tonjiru was filled with much ingredients and warmed our freezing bodies. 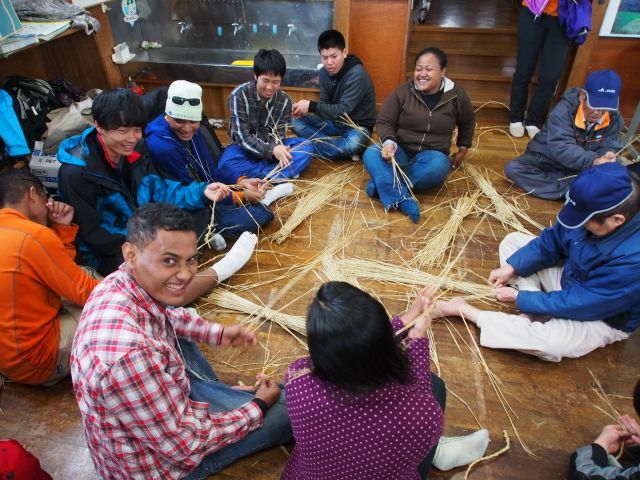 At the same community house, we were joined by 4 masters of straw-craft who taught us how to make sandals from straw. While it required much effort and patience to get the technique right, it seems that quite a few people completed making the sandals! We returned to our lodging after that, at which point dinner preparations started. We had this “competition” whereby everyone in the cooking team had to cook his or her own version of fried rice, with a variety of seasonings offered. One interesting dish was from Christo, who added curry seasoning. Thumbs up for the imagination! After a brief rest, we had one of our longest meetings! We divided into three groups to talk about experiences in Niigata and Tokyo after a general discussion. The atmosphere was lively and brimming with energy. It was snowing this morning in Minami-Uonuma. 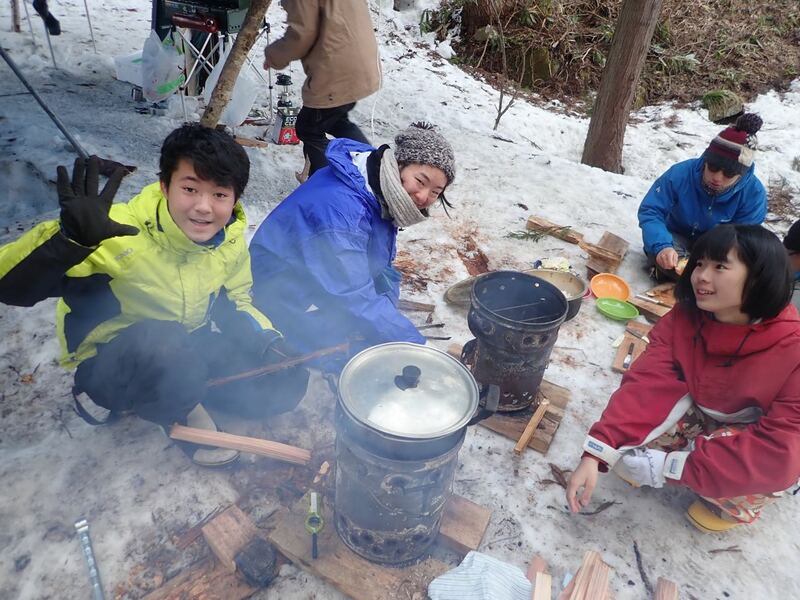 Students visited Tochikubo-village, a mountainous community with 4 meters of snow in mid-winter. 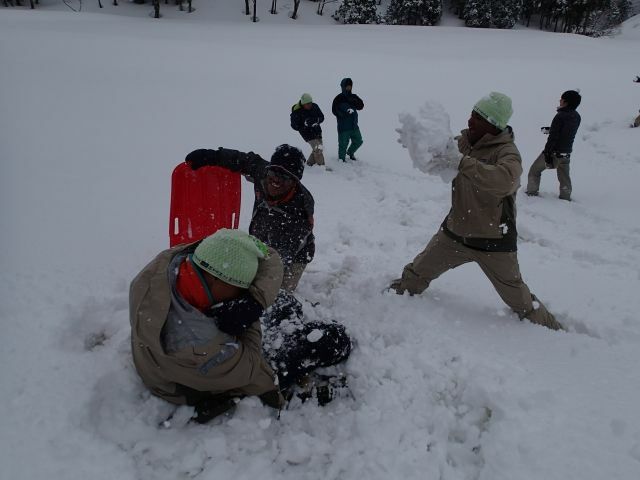 Still meters of snow was covering rice paddies and they start snow ball fighting naturally. Some of them made a monument with a stone money on top. 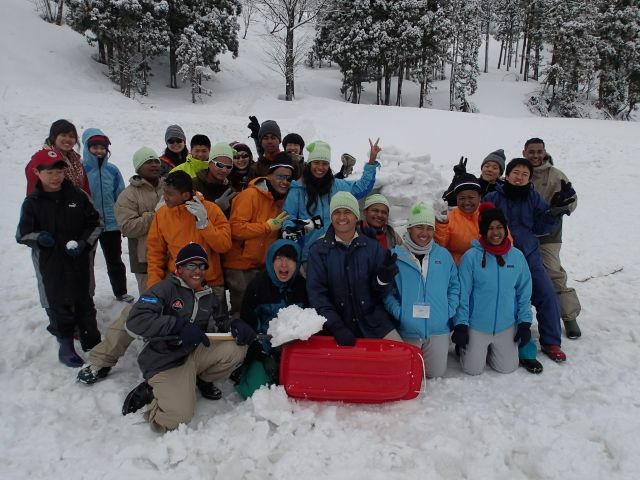 Even on the snow, students moved freely as same as in Yap. 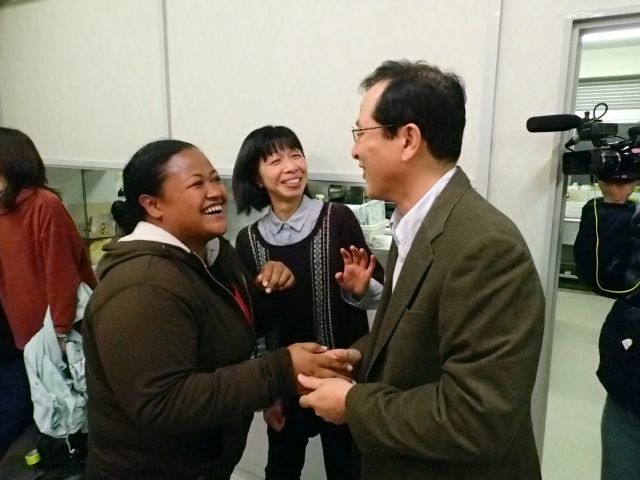 After 15 years, Tina met with her host family in Japan. At that time she was a high school students and now she is leading the team. 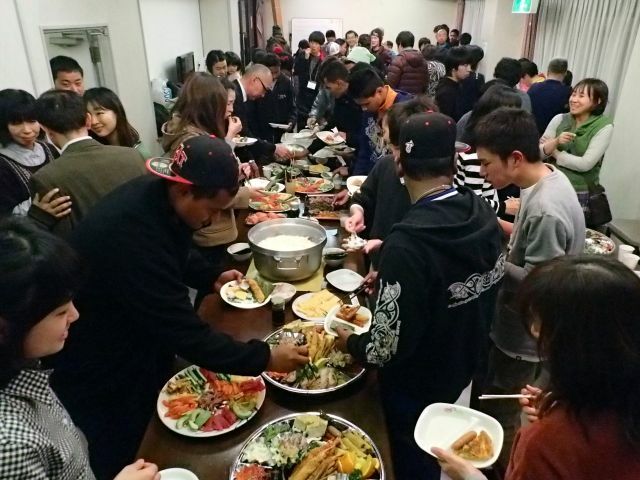 Coming back from home staying, students and family members had nice time over sushi roll. 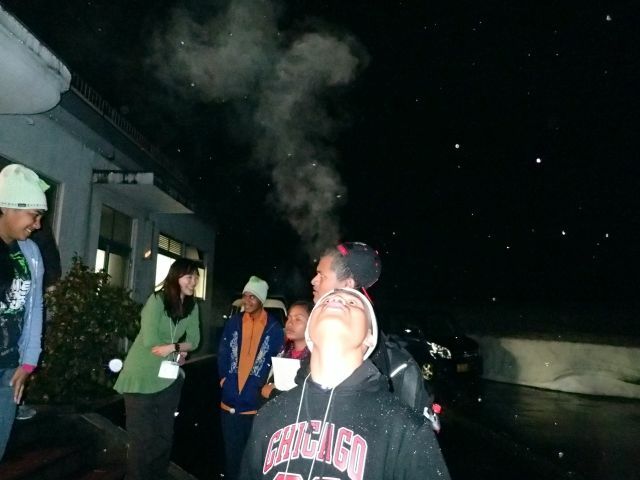 When the party concluded, the snow started. Temperature was going down. Next day, we will go to mountain side..